Churches throughout the Kelso/Longview area are working together to provide a place where 24/7 Prayer and worship can happen. TRiHOP is open every morning from 5:00 AM to 7:00 AM and on Monday, Tuesday, Thusday and Friday evenings from 7:00 PM to 9:00 PM. It's a place to come and meet with God, coporately and individually. TRiHOP is supported by local area Believers who want to see a place in Cowlitz County devoted to 24/7 prayer. The Cowlitz Chaplaincy is commited to provide support services to local Fire, Police, and EMS personel and their	families. 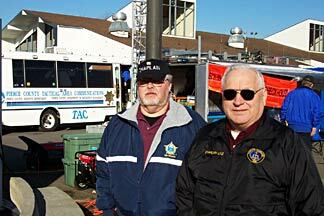 The also provide crisis intervention support to the local communities in their time of need. Chaplains serve as caregivers to anyone who needs emotional and spiritual support,	irregardless of their beliefs. Their services are free. The	Chaplaincy is supported by local churches and individules. They	have offices at 208 Fischers Lane, Kelso, WA. (360) 577-3092. Representing First Nations people as a follower of Jeshua, Jerry Chapman (Sto:lo) ministers to his local community in Cowlitz County, Wash., throughout the Pacific Northwest and Canada and overseas. Jerry has been gifted with a unique form of prophetic worship through drumming, which led to the name of his ministry: “Drumspeaker to the Nations.” He not only ministers through worship, he presents the Gospel to First Nations people in a culturally relevant way. He hand-crafts most of the native drums and percussion instruments he uses, and often presents drums he has made as gifts during ministry events he is invited to. Ambassadors of Hope Kenya ministries care for widows, orphans and at-risk children in Kenya East Africa. High-Gates Educational Center and support group provides a place for the vulnerable and orphan children to be fed, cared for, and educated. The care and education these children receive is characterized by excellence in the pursuit of truth from a Christ-centered world view. They also care for the widows by providing food, and building homes to help them have hope and dignity.